Facebook has released a new emoji just for the people of Norfolk, it has emerged. 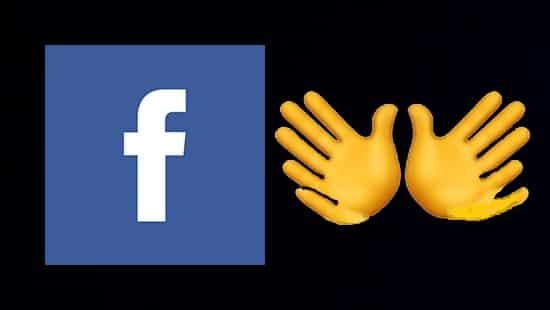 The six-fingered hands emoji will allow users to add a Norfolk flavour to their posts. Boffins at the social media giant had worked on different emoji ideas for the rural county. A webbed foot, a pair of bushy eyebrows representing the star of the Normal for Norfolk TV show, and a depiction of Norwich radio personality Alan Partridge were all rejected. “They were all tested but found to be unpopular as Facebook users did not immediately recognise the Norfolk link. “But the six-fingered hands emoji screamed Norfolk to every user in our study. The new emoji will be included as part of the next Facebook software update in October. Mr Spuckler, who lives near Downham Market with his sister and their eight children, regularly posts his turnips on the For Sale in Norfolk Facebook group. A spokesman for Twitter said it was monitoring the Norfolk emoji, and would consider adding it to Twitter’s emoji selection as well.